We can’t help but smile each time we catch sight of the color-drenched flowers, fruits and waterfowl that grace the packaging of our Tinted Lip Treatment and Royal Apothic Eau De Parfum. 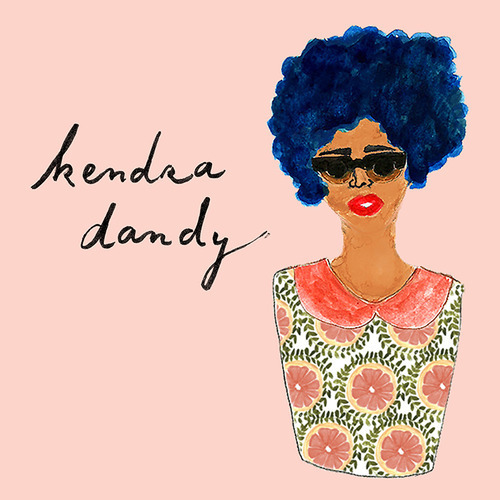 Lucky for us, the mind behind these sunny prints, Kendra Dandy, lives right in our hometown of Philadelphia, so it was easy to have a proper sit-down and find out more about her undeniably cheery art. What inspired the artwork on the packaging? 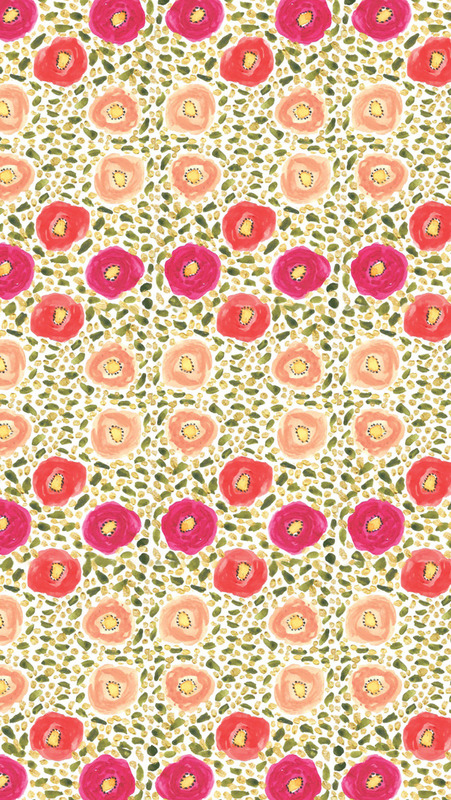 I’m a real believer that nature is the best designer, so I just tried to add my own personal touch to the fruit and floral prints. What is your favorite fruit to draw? I love drawing citrus because there are lots of different ways you can paint it: whole, sliced in half, wedged. Citrus fruits look particularly lovely when they still have their leaves attached. We hear you’re inspired by vintage fashionis there a particular decade that really speaks to you? I’m most fond of the ˜60s because of all of the fun patterns, color palettes, music and makeup. And since I happen to do a bit of go-go dancing, I love dressing mod whenever possible! 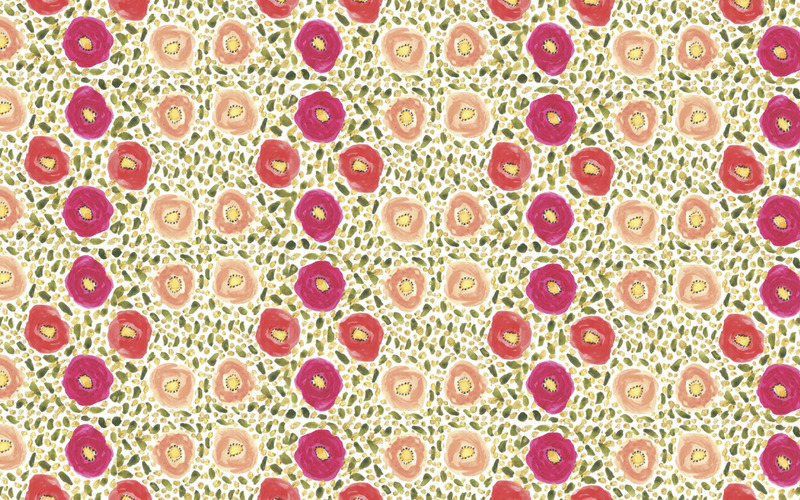 How did you come to be a surface pattern illustrator? Trial and error. I wanted to be involved with the fashion industry, but I don’t have sewing skills or an interest in merchandising, and I wanted to be able to use my painting skills in a practical way. When I found out that people could actually make a career by creating surface designs for textiles and various other products, I was sold. What’s the most rewarding aspect of this particular type of art? Surface pattern illustration involves me applying what I love mostpainting and drawingto any sort of product, be it home décor, beauty, apparel or tech. It’s always incredible to see something you’ve painted on an object that people buy. Is there one print you created that you’re especially proud of? I have a print called Miss Giraffe, and I really like it because it involved painting an animal as a glamorous retro lady. She has big, round Jackie O. sunglasses, a scarf, pearls, and of course, red lipstick. I don’t have an actual studio or work space. I just have a fairly small sketchbook and my lap! Oh, and a table to put my paints and water dish on. You don’t need a big fancy studio space to create. All you need is yourself and some art tools, and you’re all set. for your desktop and mobile device.